Now it is time to apply for the AF Prize. Submit your suggestions for recipients, or apply yourself, by November 18 at the latest. 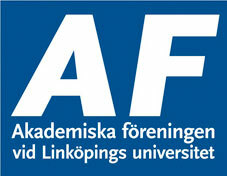 The Academic Society Prize, or AF Prize, was first awarded in 1999. So far, 38 people at LiU – teachers, researchers, students and administrators – have been recipients. The 2016 announcement covers two prizes of SEK 5,000 each. One of the prizes is being awarded in the memory of Kjell Norberg, a former municipal councillor in Norrköping.